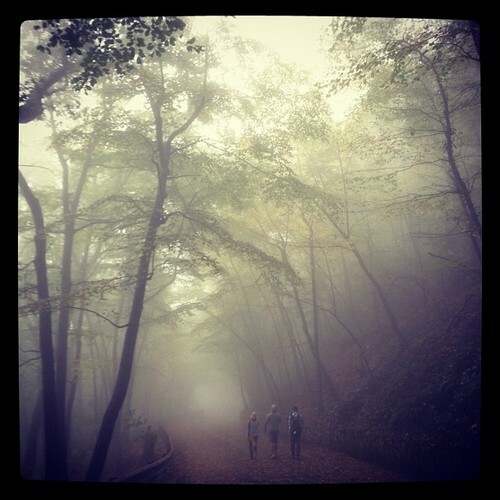 Hiking through the fog in West Virginia. . Wallpaper and background images in the Keith Harkin club tagged: keith harkin celtic thunder emmet cahill dave bakey laura durrant keith. This Keith Harkin photo contains buche, live-eiche, lebende eiche, live oak, and baum.